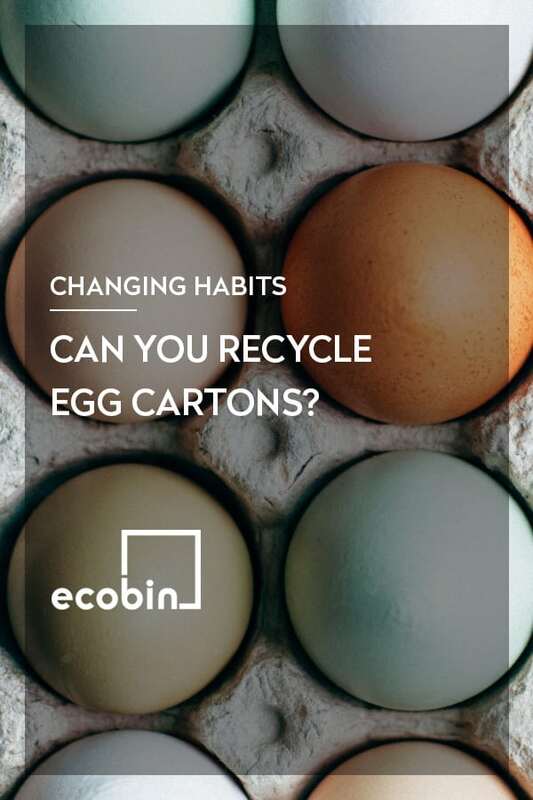 EcoBin > Changing Habits > Can you recycle egg cartons? We love being able to help our Ecobin family by answering some of the most FAQs, and one that comes up a lot is whether you can recycle egg cartons. The answer is YES you most certainly can. Most egg cartons are made from 100% recycled paper which means they are safe to be put into your home recycling bin. Keep in mind it’s important items in our recycling bin need to be so fresh and so clean (clean clean clean), not contaminated with food leftovers. So if you’re in the habit of cracking eggs and popping them back into the carton before tipping them into the compost that’s not a great idea – nobody likes a soggy egg carton, least of all recycling sorting facilities. We want to be sending clean recyclables to these centres so that we avoid mould contamination and keep staff at these centres happy! It would be best to chuck the egg shells straight into your kitchen compost bin, and it just so happens that Ecobin offers a handy 9 litre Food Waste Kitchen Caddy Compost Bin which is perfect for your kitchen space and gives you somewhere to get rid of those shells as soon as they are cracked open. Now that you’re locked and loaded with this knowledge, we hope you have an eggcellent day!